We've sanded down the interface and spent time rebalancing that which defines it (contrast, margins, typography, hover states, button shapes, etc, etc, etc). It felt great. 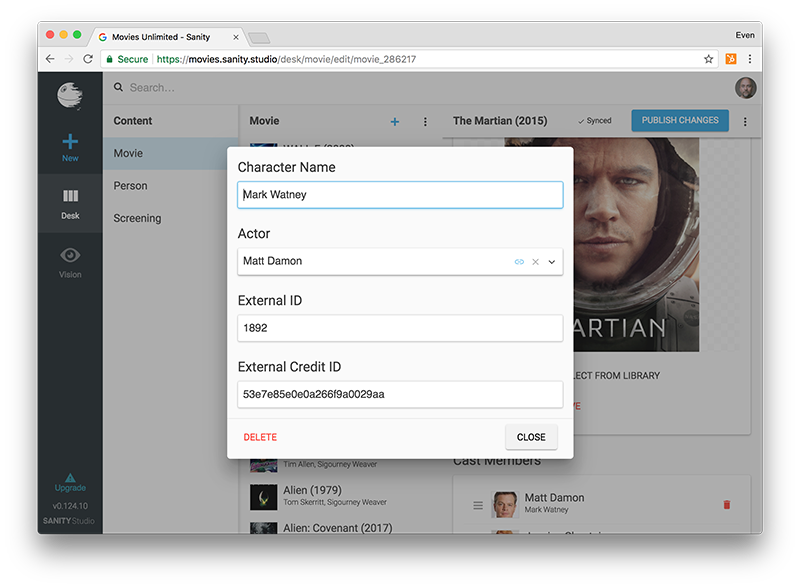 A frequent feature request has been to support a way to preview content in a production setting, e.g on the web site. We have now added support for adding a link from the Content Studio to your site for previewing documents and drafts. Read more about the shiny new feature here. The Sanity form builder supports editing embedded objects. Put them lists along with other types! Put objects inside objects inside objects! However complicated your model, we'll render it. We initially decided to pop the editor for objects in-place, where you clicked. This was intuitive, but was brittle with complex objects sometimes finding a way off-screen. Object editing now pops in centred modals. Goodbye popovers, we hardly knew ye. The studio now includes an update notifier which lets you know if your studio is up to date with the latest Sanity releases. List views are optimized to load items faster - in certain situations up to 10x faster! Fixed a bug in the block editor regarding annotating a text with a reference that would throw an error. Robustified how the block editor creates an editor state to better be able to recover from invalid source data. Fixed a bug that caused the _createdAt field on documents to be reset upon publishing. Fixed a bug causing fieldsets to be collapsed by default in some cases when they should not. 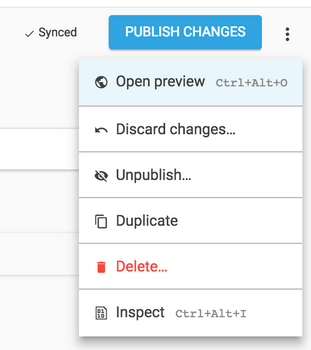 Fixed a bug that could in some rare cases cause inconsistencies when publishing documents.